This week Nicely Made in China (NMiC) presents a couple who has decided to take on one of China’s traditional crafts – porcelain. Born into a Hong Kong-based Swiss family, Julie Progin and her American husband Jesse McLin, have recently created Latitude Design Studio, a young and promising company. In a double interview they tell NMiC about setting up and working with an artisan community in Jingdezhen. How did Latitude come to life? I was branding designer for a cosmetic company in NYC and Jesse was teaching and working for a ceramic lamp company but we had been thinking of starting our own studio for a while and we wanted to change our horizons and get inspiration from another bustling city. We knew that we had a lot to do in Asia with all the skills in ceramics that are still in existence here. 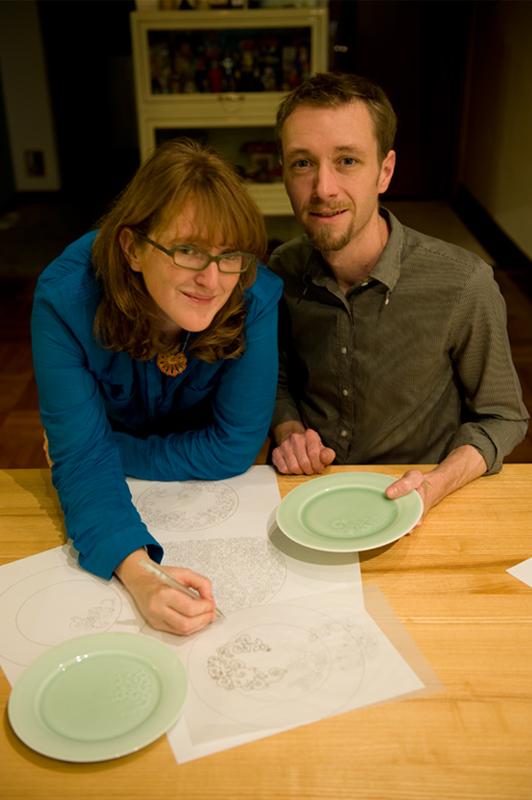 Then around that time we decided to get married and to create the tableware for our wedding. We felt that it was a good starting point for our life together. Latitude Design Studio was born soon after in 2008. How would you describe Latitude? Latitude is now our brand and as well as designing porcelain products we want to develop it into a design studio. 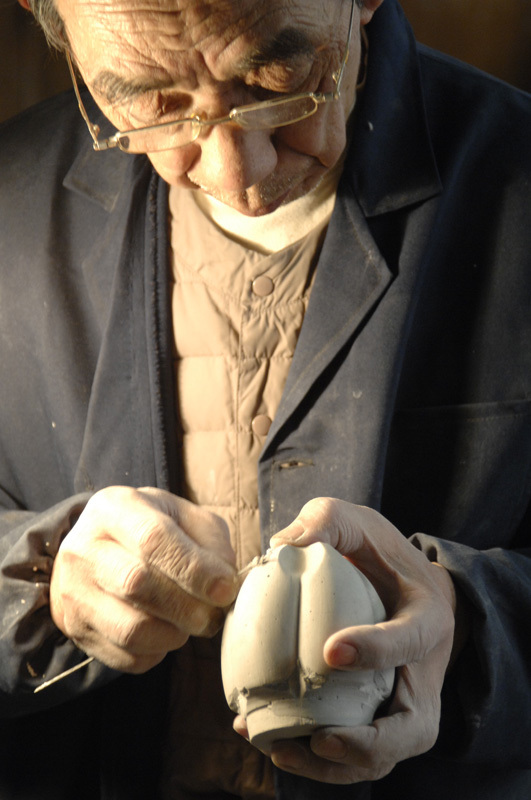 We began by making ceramics because it’s what we know best but it is only one aspect of our company. The idea behind the name “Latitude” is to work with artisans, the heritage of whose work is thousands of years old. We want to connect the dots between those artisans, the designers and the clients. The Song dynasty is a big source of inspiration. This dynasty had a major focus on nature, beautiful aesthetics – a very contemplative feel. On a more contemporary note, we also like the work of Ted Muehling, an American artist. 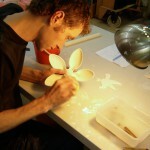 His work is closely tied with nature and craft too. What is the creative process behind the birth of a collection? We are idea collectors. Objects, nature, art, craft, history, architecture, everything triggers ideas. The story behind each product is different. We design together and hand render everything first. 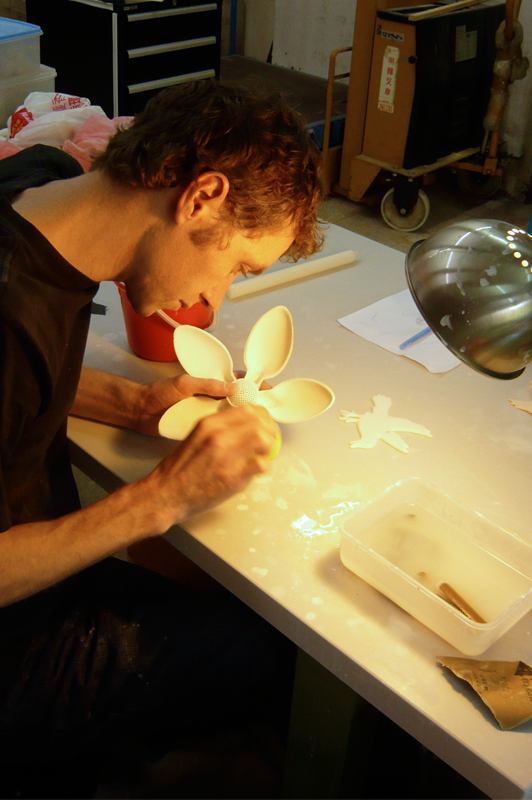 Then we split the work, Jesse makes prototypes in our studio -sometimes as many as 50 prototypes- until the form is perfect and we’ve figured out all the technical aspects of the making. Then if there is a need of technical drawings I make them on the computer. The computer is just a means to digitize our work as we prefer the touch of the hand. After that Jesse takes our final prototype to Jingdezhen to the craftsmen who will make it come to life. I then generate the branding of each product. In Jingdezhen most people go to the larger factories but we prefer the smaller setups. Sometimes we are their first foreign clients. Ceramics in China still retains some well kept secrets. Some families have just one skill that they pass on from generation to generation. Our first collection was the Song collection, which we launched in March 2010. 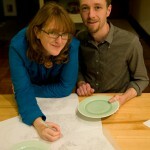 It’s a dinnerware collection, made and carved by hand. The story is told in the carving. You can see, the carved foliage increases in size from the small plates to the bigger ones, where there is also a couple of deers. The carving on the charger plates (33cm in diameter) takes a whole day to make. How many pieces do you make for one collection? We make 200 pieces at the most. None of the plates are exactly the same, which is a feature we like and it’s a good selling point. Occasionally, some pieces are so different that they are completely unique. It is similar to engraving. The pattern is carved away in the unfired clay. 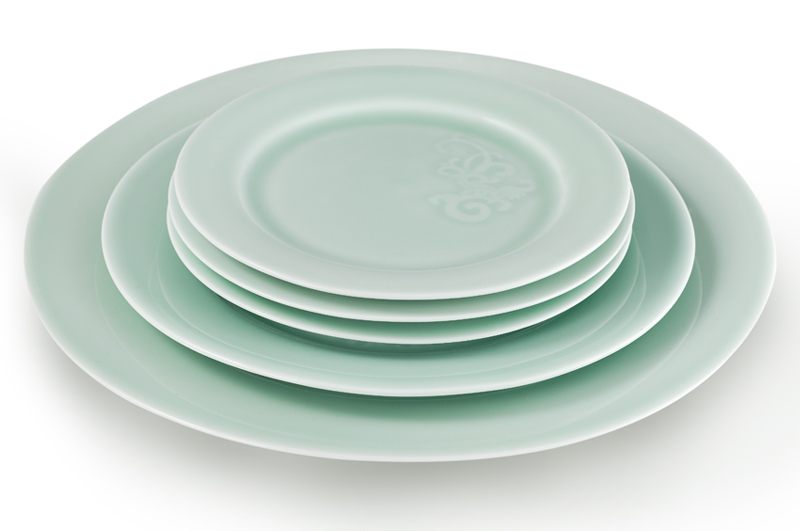 Our Song collection is glazed with celadon glaze and fired at 1390˚centigrades. The glaze becomes liquid and flattens out. To the touch it feels smooth but the pattern is visible through the translucent surface. It’s one of the old fashion techniques to decorate porcelain. 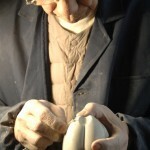 In Jingdezhen there is a whole district where they only do carving. How often do you come up with a new collection? 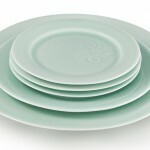 We want to create dinnerware that will last a lifetime. We don’t like the idea of throwing things away. As a result, we have fewer collections which are not based on trends but are made to last. Who are your clientele? What do they think of your approach? So far they have been very eclectic. Generally speaking they admire the craft and the story behind our products. They appreciate the new way of looking at tradition. It’s tradition with a twist! Chinese are very proud of their ceramic history. Yes we do. Jesse recently made 70 pieces in our studio in Hong Kong for The Night Market, a restaurant located in Central on Hong Kong island. Where can our readers buy your products? Can you give us an idea of the prices? At the moment we sell only in Hong Kong. 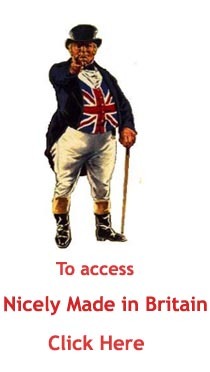 You can find the addresses there! But we are looking for distributors in Europe and the US. The Song plates: 420 HK$ for each dessert plates, 640 HK$ for each deep dish, 700 HK$ for each dinner plate and 900 HK$ (US$ 116 / 86 euros / A$ 118 / 770 Rmb / £ 73) for each charger plate (33 cm in diameter). All prices and exchange rates on November 19th 2010 are only indicative and may change.